The Westwood home at 2148 Manning Ave, LA CA 90025 received a price reduction today of 12% or $150,000, down to $1,100,000 |$/sf 458|. Listed about 10 months ago on June 3rd, 2014 for $1,399,500, this is the 4th price reduction since the first list date. 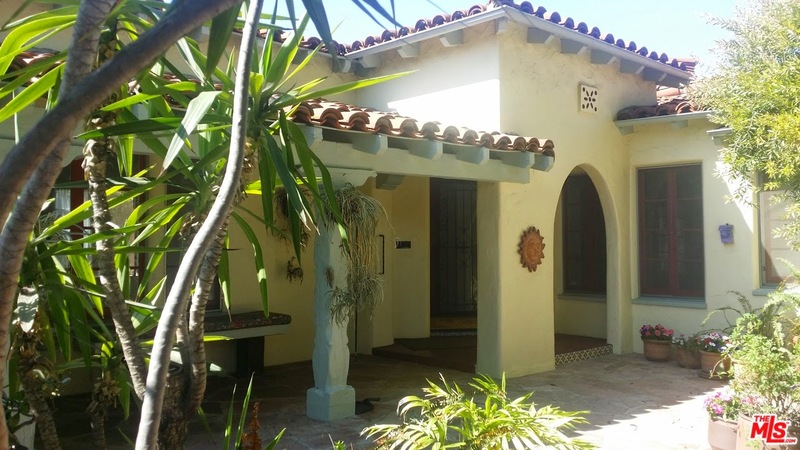 Normally a 20's Spanish in Westwood with 3 bedrooms and over 2,000 sq ft would be a no brainer at this list price. In fact, a remodeled home with these stats should sell for much more. However, when the house is located on the corner of Olympic and any of the perpendicular neighborhood streets, it's always a little tougher sell and needs to sell at a discount. Additionally, the house, guesthouse and garage cover most of the lot, leaving very little outdoor space. Thus, giving another challenge to the sale. According to the MLS, the home is a 3 bedroom / 3 bath, 2,400 sq ft of living space on a 6,751 sq ft lot.